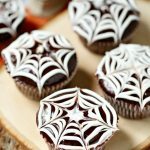 While I sometimes enjoy more complicated dessert designs (like my recent Halloween Macaron Cake), for the most part I need ideas that are super simple and quick to whip up – and even better if it’s an idea that the kids can help with, too! 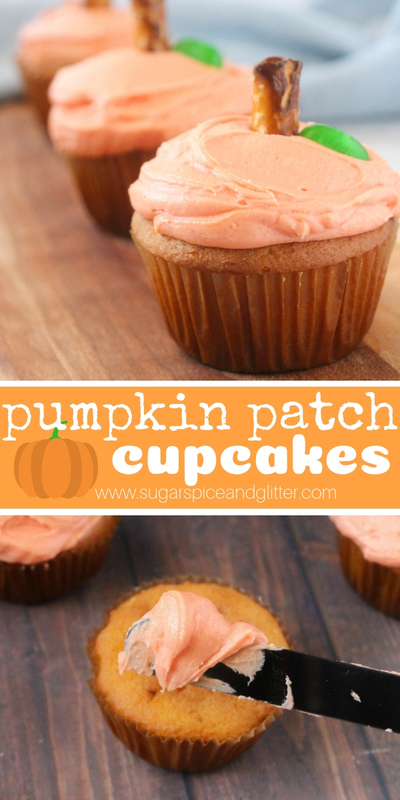 These super easy pumpkin cupcakes can be made with any type of cupcake batter. 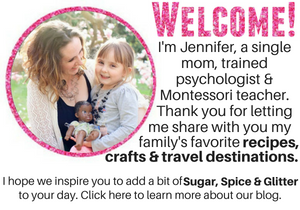 While I shared my recipe for homemade vanilla cupcakes below, feel free to swap that out for your favorite recipe – or even a boxed cupcake recipe! 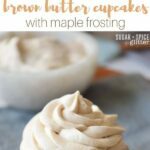 The real difference comes down to the frosting, and while I’m all for that boxed cake mix – I draw the line at canned frosting! 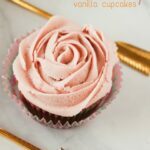 Homemade buttercream frosting makes all of the difference in this recipe and if you’ve never made it, I really encourage you to give it a try. 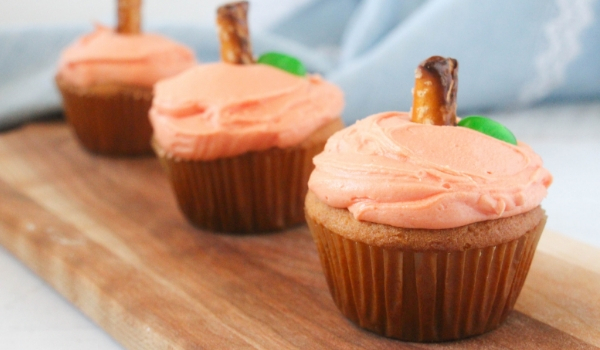 It’s super easy to whip up and it’s worlds away from that goop they sell in the baking aisle. 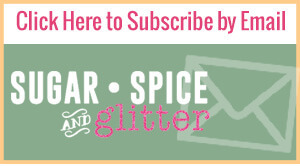 This is a fun recipe to make for a party – or even let the kids decorate their own at the party! 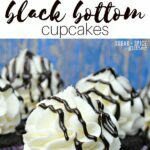 You can also freeze the unfrosted cupcakes for up to a month if you want to make these for a party. Just freeze in containers or large ziplock bags and let thaw at room temperature for at least 2 hours before you frost them. 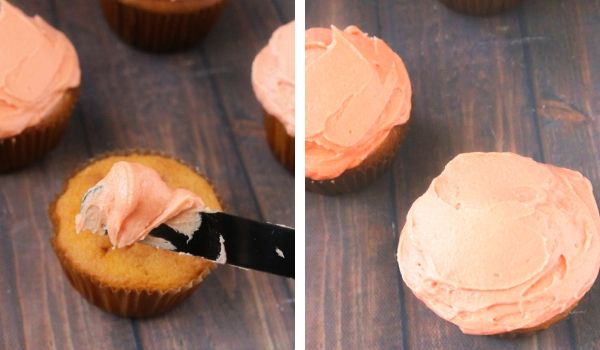 Tip: swap out the from-scratch vanilla cupcakes for a boxed cupcake mix, if desired. Cream butter and sugar till light and fluffy, about 2 minutes; beat in eggs one at a time, then vanilla. Set aside. Add half of the flour mixture to the butter-sugar mixture, then the milk, then the remaining flour mixture. Portion out into the cupcake liners, about 1/2 cup each liner. Bake for 18-22 minutes until an inserted toothpick comes out clean. Add remaining icing sugar 1/2 cup at a time until you reach your desired consistency. 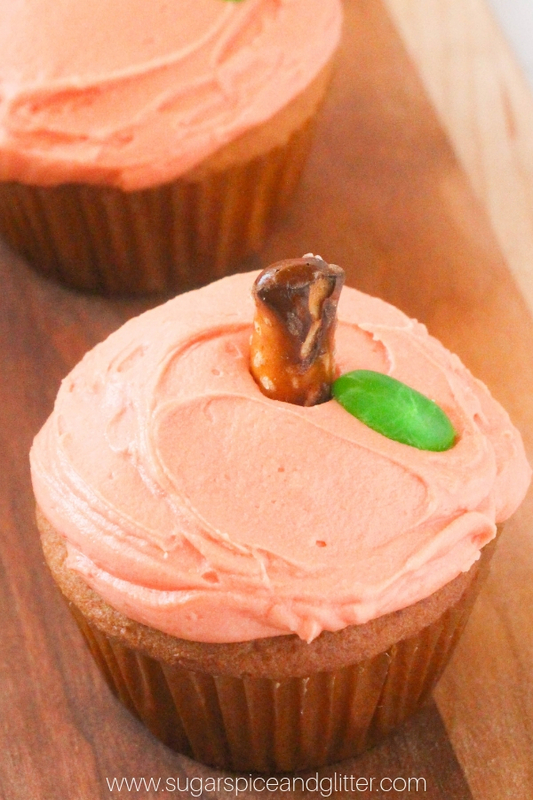 Add food colouring until you reach a pumpkin color you like. 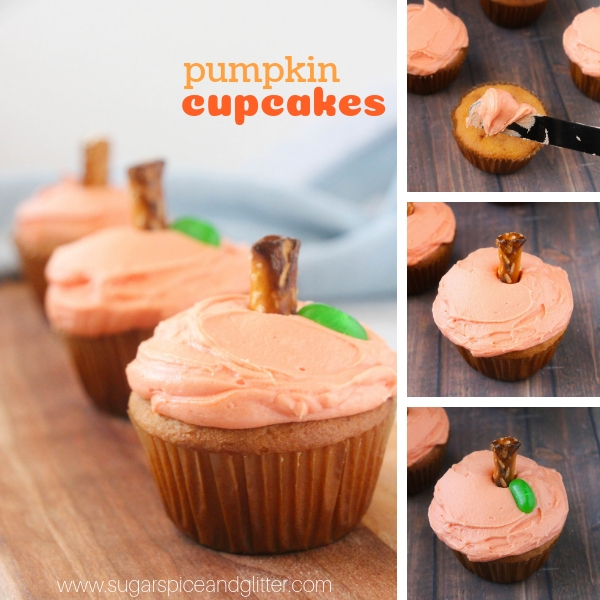 Break the large pretzel sticks into 3-4 pieces, insert one piece in the center of each cupcake. Add a jelly bean (or half a jelly bean) for a small “vine” garnish. 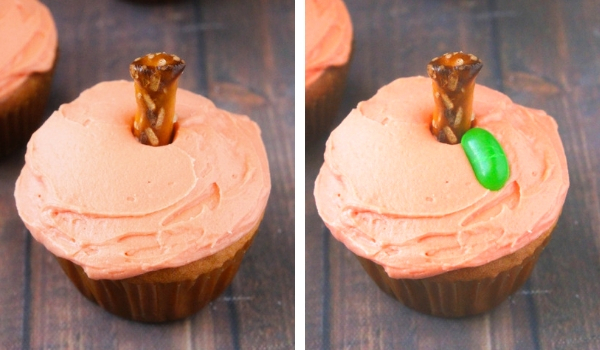 Break the large pretzel sticks into 3-4 pieces, insert one piece in the center of each cupcake. Add a jelly bean (or half a jelly bean) for a small "vine" garnish. 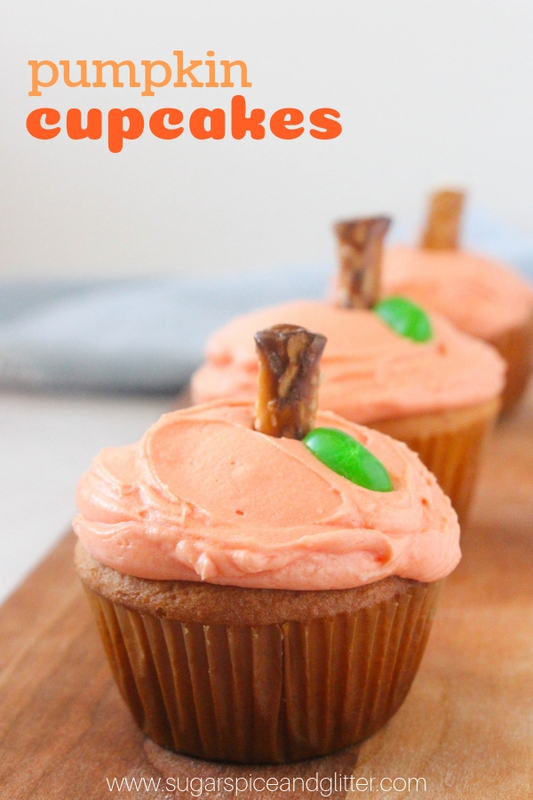 This fun pumpkin cupcake recipe can be made using any flavor of cupcake batter, so whether you like pumpkin flavor or just want the look – you’ll love these cupcakes! 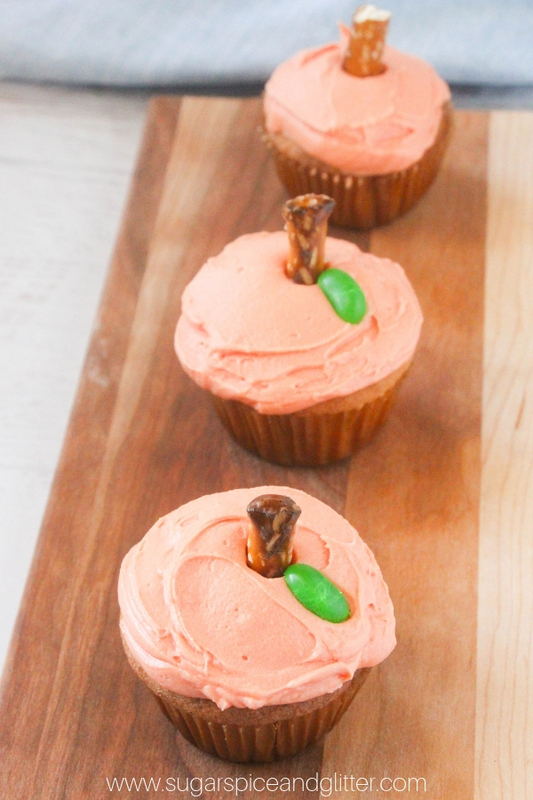 They are such a fun addition to your fall parties, or make a fun fall treat for the kids to help make. 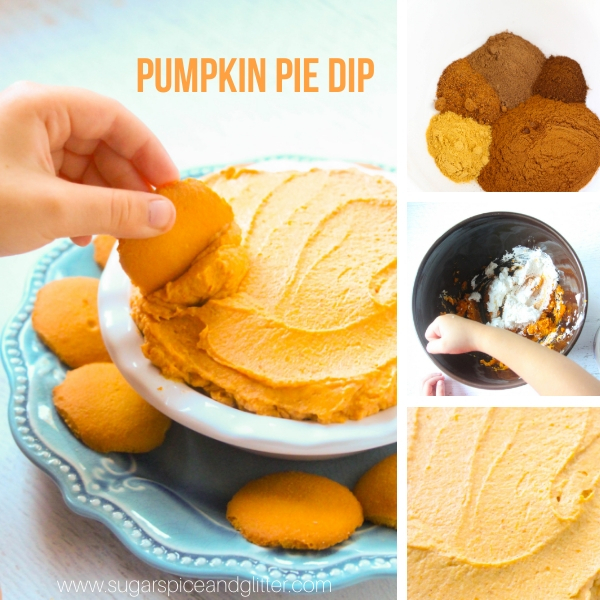 For more fun fall recipes kids can help make, check out our Pumpkin Spice Rice Krispie Treats or our Pumpkin Pie Dip.